Astronomers Are On A Celestial Treasure Hunt. The Prize? Planet Nine Earlier this year, a pair of scientists predicted the existence of a ninth planet based on computer modeling of the solar system. This fall, the race is on to be the first to spot it in a telescope. The Japanese Subaru Telescope on Mauna Kea in Hawaii has the right attributes for searching for Planet Nine. "The seven most distant of these objects, when they go really far away, they all go in the same direction," says Mike Brown, professor of planetary astronomy at the California Institute of Technology (Caltech). That's one hint there's a planet tugging on them, but there are others. "They're all also tilted, compared to the planets in the solar system," says Brown. "They're tilted about 20 degrees, and they're all tilted in nearly exactly the same direction." There's a third oddity about these objects: They never come closer to the sun than Neptune, "as if they'd been pulled away from the sun by something," he says. In 2014, Scott Sheppard of the Carnegie Institution for Science and his colleagues proposed that a large planet orbiting way beyond the orbit of Neptune, might account for the strange behavior of these objects. Earlier this year, Brown and his Caltech colleague Konstantin Batygin developed a computer model that actually made predictions about where this new planet might be. Since there's still a great deal of uncertainty about the precise orbits of the seven objects, the model's predictions of the possible location of the new planet covers a large swath of sky. And since the model is based on just a handful of small objects, some astronomers are skeptical there's enough evidence to make a credible treasure map. Despite the uncertainty, Sheppard, Batygin and Brown, as well as other astronomers, are scrambling to get time on some of the world's most powerful telescopes. As I explain in this video, you need a telescope that can collect a lot of photons (has a big mirror) and captures a fairly large swath of sky in one image. Batygin says he and Brown were aware that invoking a new planet to explain the strange behavior of their objects would expose them to ridicule. There've been a lot of wild goose chases in the search for new planets. "We worked hard for about a year, to try and find some other explanation," says Batygin. They did that, says Brown, "because we were kind of tired of everybody always saying, there must be a planet, there must be a planet, there must be a planet. Even we were tired of ourselves having said it several times." But there was a particular moment when they were both convinced a planet was there to be found. Brown says the moment came because of something unexpected their computer models were predicting. The model said not only would a giant planet explain the behavior of distant objects, such a planet would also tilt the orbits of some objects closer to the sun by 90 degrees. But did such objects exist? One day Brown found an astronomical survey that appeared to have them. He and Batygin went into Brown's office. "I had the predictions from the computer model on, and I put the new objects on top of the predictions. And they sat exactly where they were supposed to sit," he says. "It was this moment where you sit back, and you recognize that this is actually real," says Batygin. He remembers thinking that day "Oh my God, there's really a planet out there. Batygin and Brown aren't the only ones convinced there's something to look for. Scott Sheppard expects the new planet is out there. He has time on three different telescopes to search for it. "We're both aware of this big object could be out there," says Sheppard. "We're both interested in very similar science. We're not teaming up, but we also don't want to compete against each other, so what we've agreed to do is share our fields, so if we observe a certain area of sky, there's no reason for anyone to observe that sky again." There's an interesting dynamic here. On the one hand Sheppard would like someone to find the planet, because it would vindicate the predictions that it's out there. "Of course you just want to find it, and anyone would want it to be them, for sure. But it would be nice to just to find it. Just to know what we're seeing out there is real," says Sheppard. Caltech's Mike Brown says he feels the same way. "We want it found," he says. "I would rather that somebody finds it tomorrow than we find it in ten years. I'd rather find it, to be perfectly honest with you." 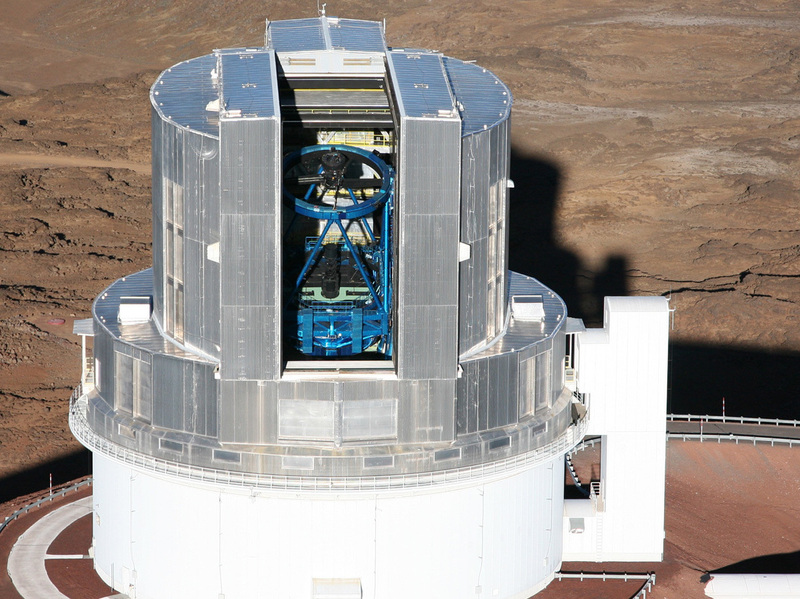 Brown and Batygin also have time on the large Subaru telescope on Mauna Kea in Hawaii to search for the new planet. It would be oddly fitting if Brown did find the new planet, since he had a major role in demoting Pluto from planetary status a decade ago. Right now Brown says finding the planet is basically a matter of luck. You happen to pick the right patch of sky, you win. We may know who got lucky by the end of this year.